Haha, it’s kind of this lost feeling after you read the last page! Mine is usually…. I wish my life was as exciting as this book haha. 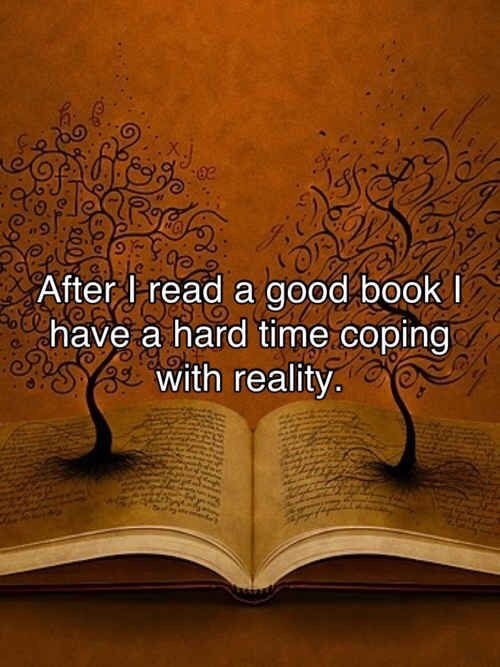 Reading is my coping mechanism as well! Great picture!